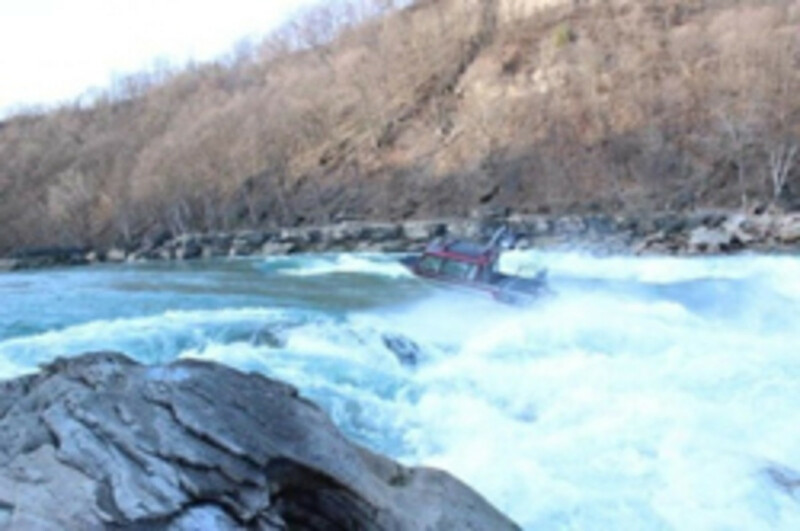 Two Niagara Falls area marina owners made headlines when they took their jetboats on a 14-mile trip near the falls last weekend in an effort to prove how safe the vessels are in extreme rapids. The 26-foot Bohnencamp’s Whitewater Customs Aluminum Gatling series of jetboats were launched at Youngstown, N.Y., which is near the Fox BoyZ Marina owned by Mike Fox and Chris Bohnenkamp, who told the Niagara Gazette that the pair plan to launch a new business called Niagara Jet Adventures. The company, which also manufactures boats for recreational sale, told Trade Only Today that an exercise like this one will certainly be used in their marketing arsenal to promote their boats to recreational consumers. Fox and Bohnenkamp said they intend to establish a new tourist attraction called Niagara Jet Adventures that would include the treacherous rapids between the Whirlpool and the base of the falls. “I’ve never seen anything like that,” Lt. Patrick Moriarty of the state park police told the paper, noting that neither jetboats nor other craft had ventured that far through the rapids and under the bridges. Shortly after the initial alarm was sounded, a number of first responders were on the scene, including Coast Guard-Station Niagara, state park police and their counterparts on the Ontario side, and the Border Patrol. At first, the law enforcement officers could only speculate about what they were dealing with: stunters, smugglers or errant boaters who simply were unfamiliar with the river. Each jetboat was piloted by two people, and none of the four reported suffering any injuries from the turbulent ride. When Fox and Bohnenkamp acquire their new 33-seat vessels, they will apply for a certificate of inspection and undergo the regulatory process before they can begin commercial operations. The investors are reportedly discussing a plan to offer trips for $60 per person.